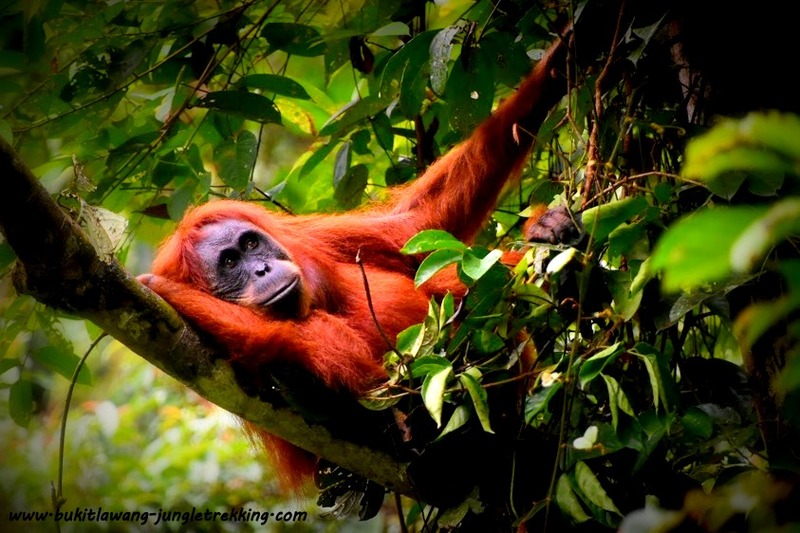 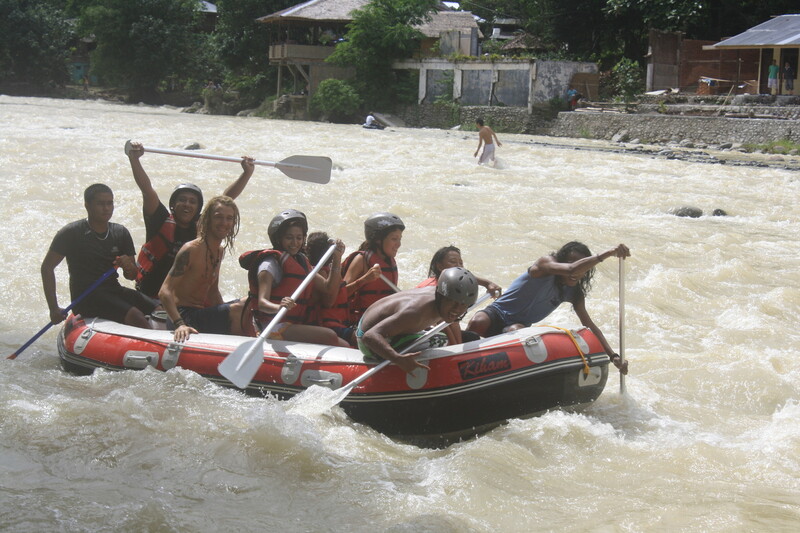 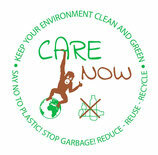 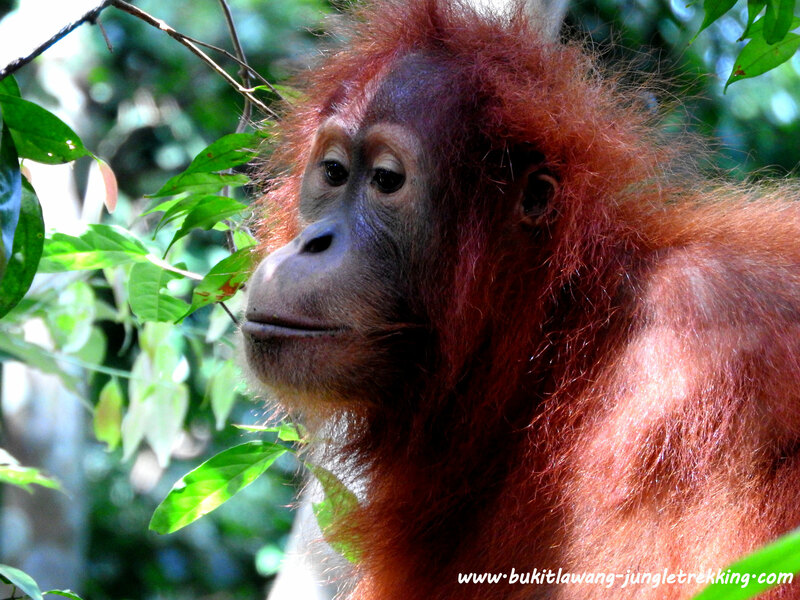 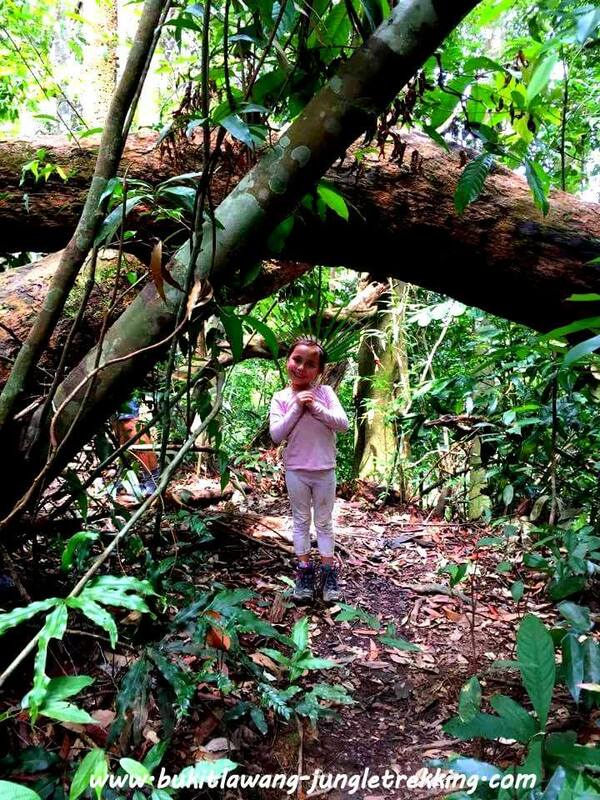 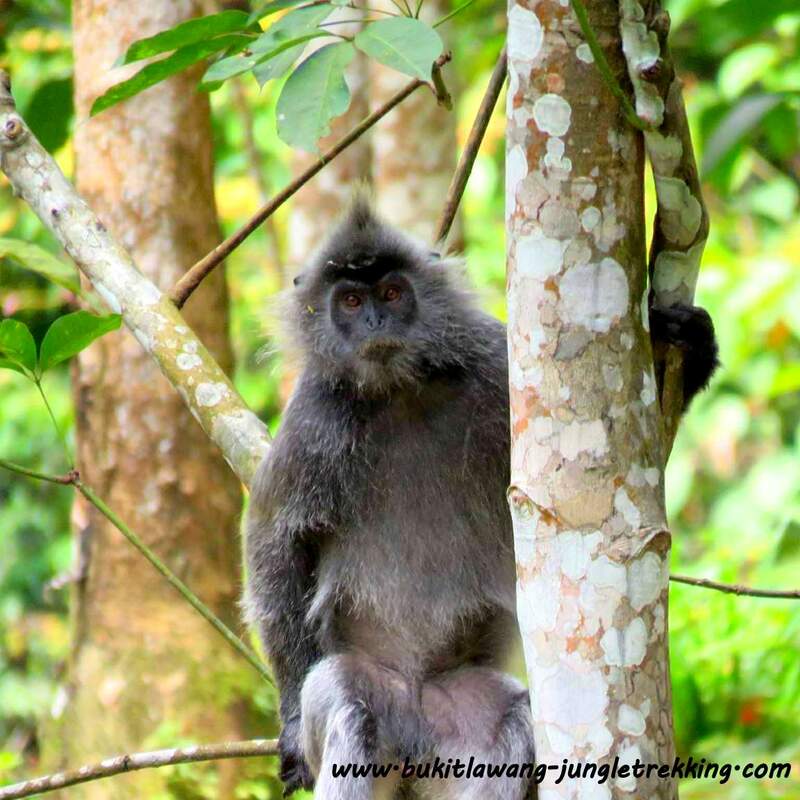 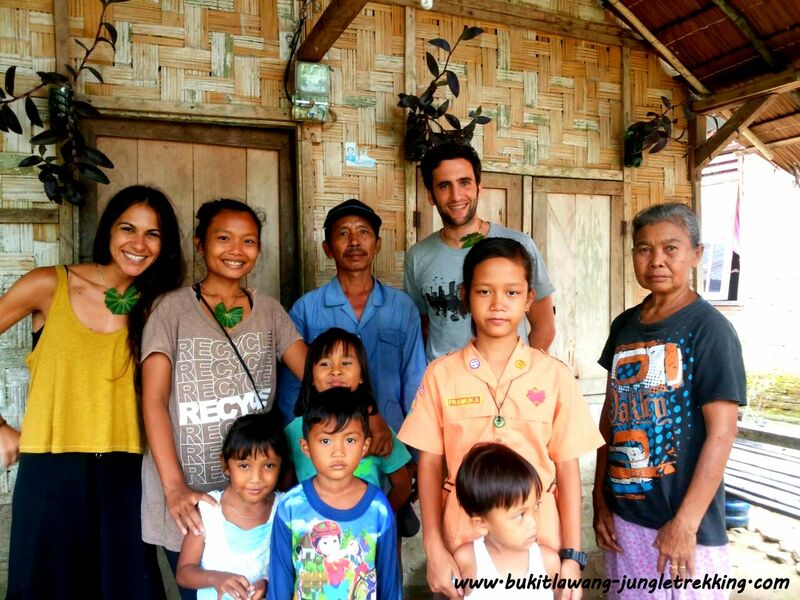 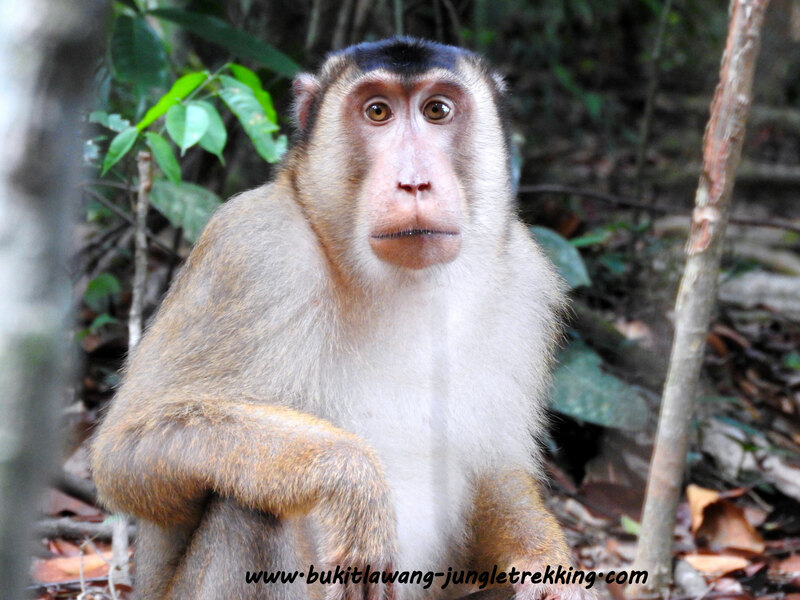 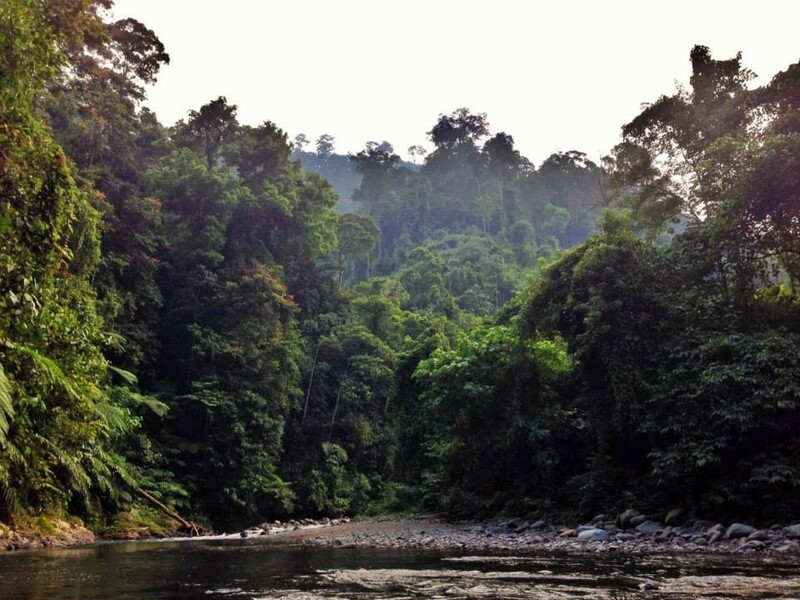 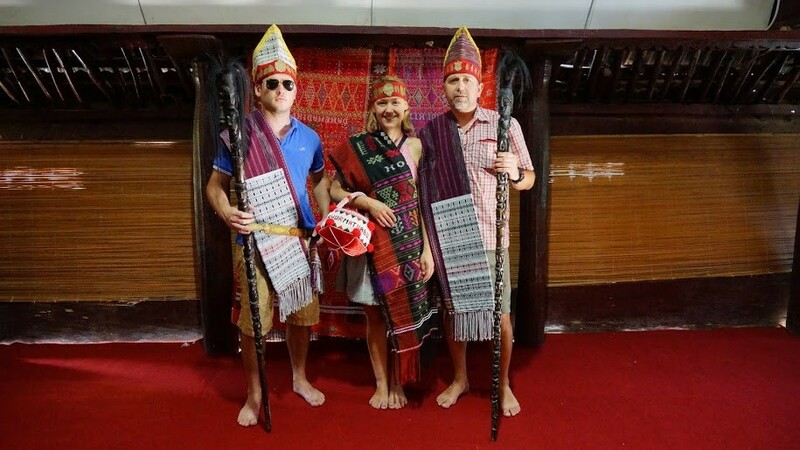 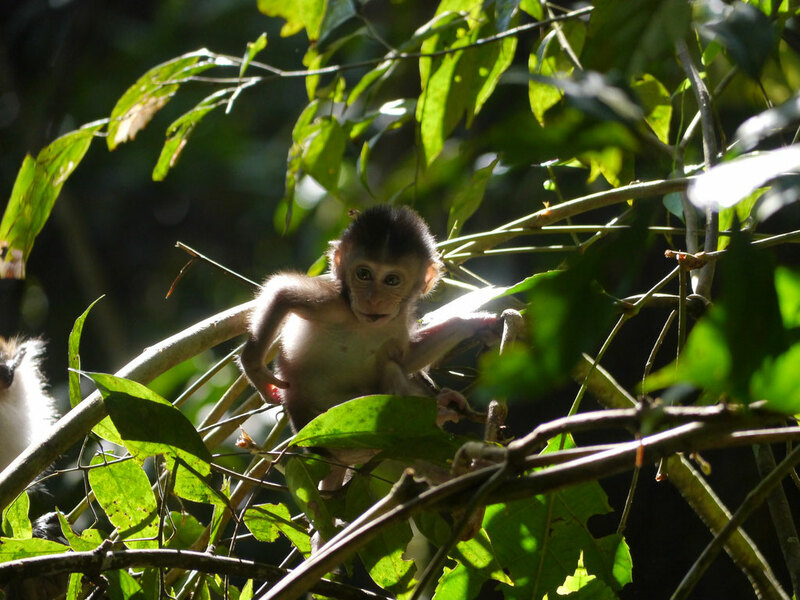 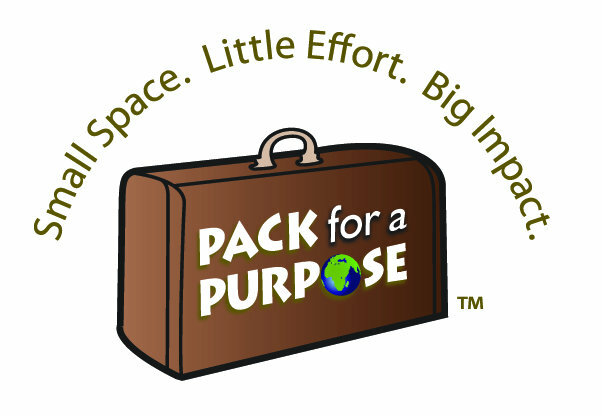 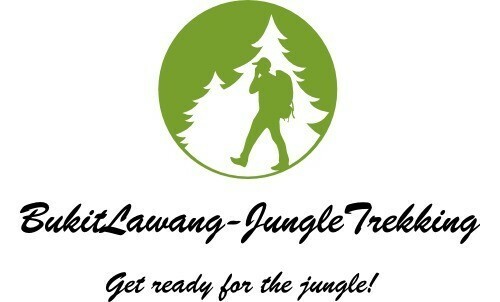 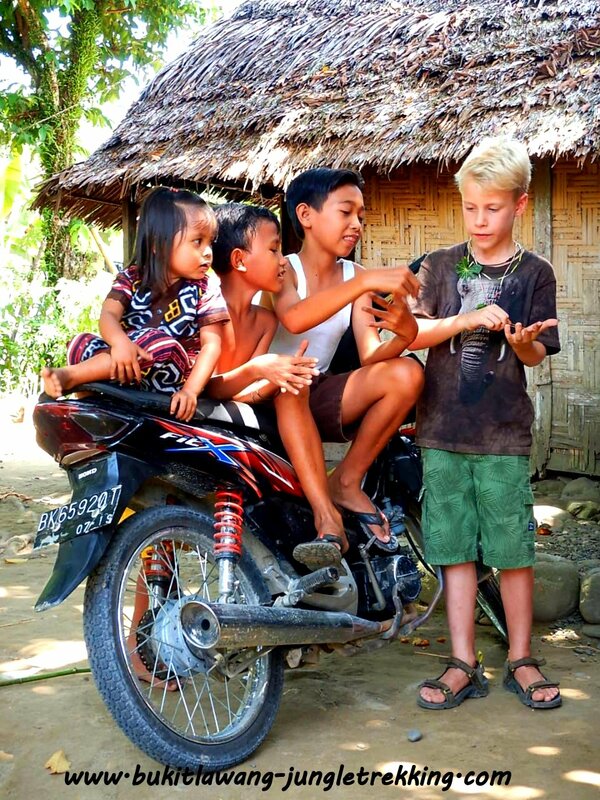 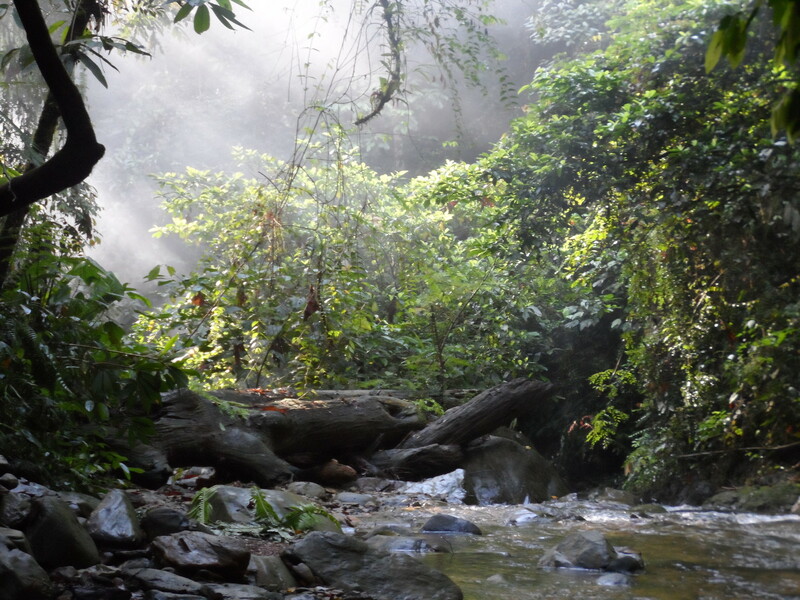 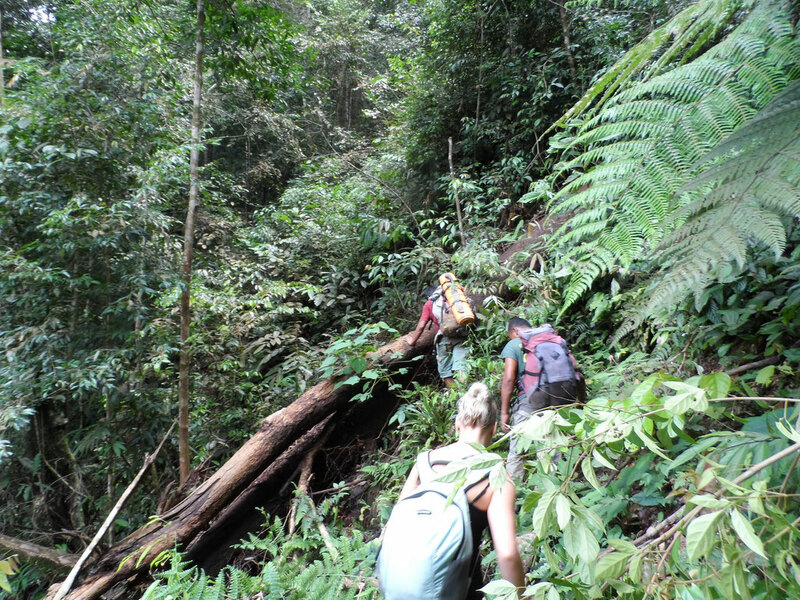 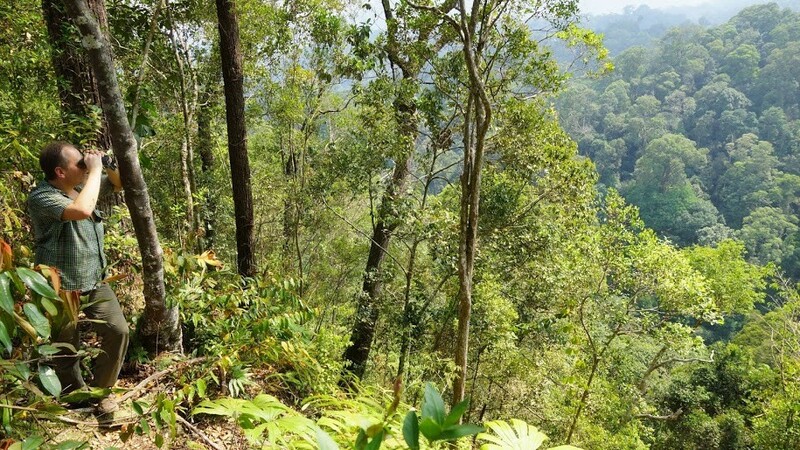 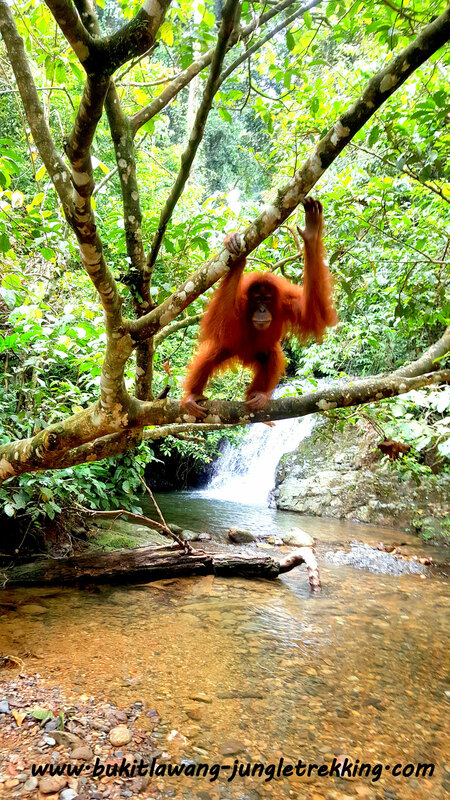 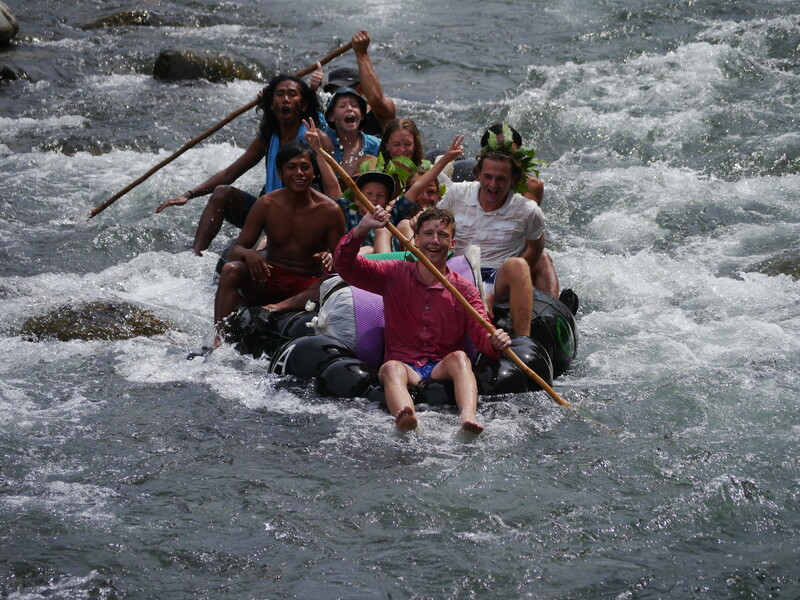 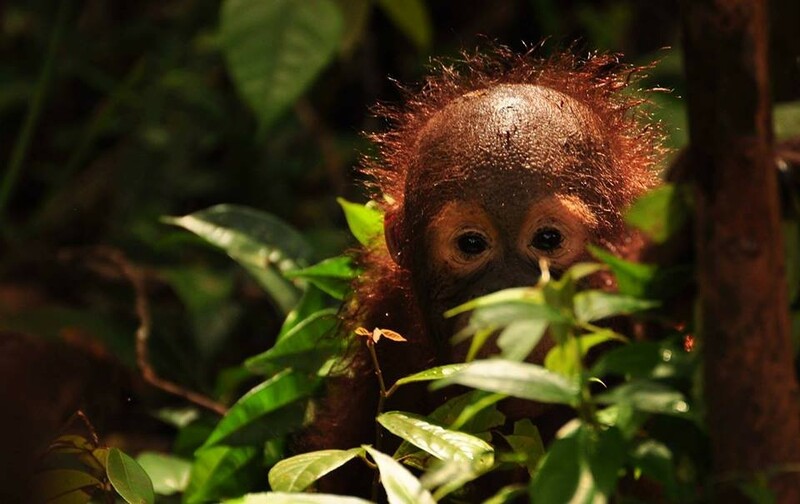 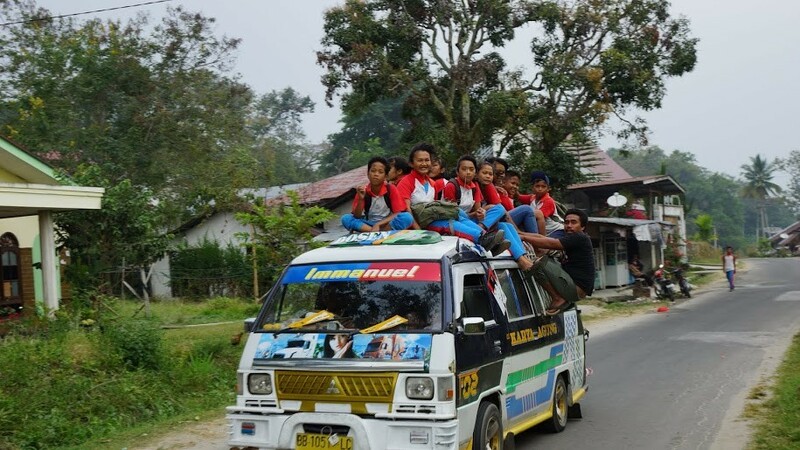 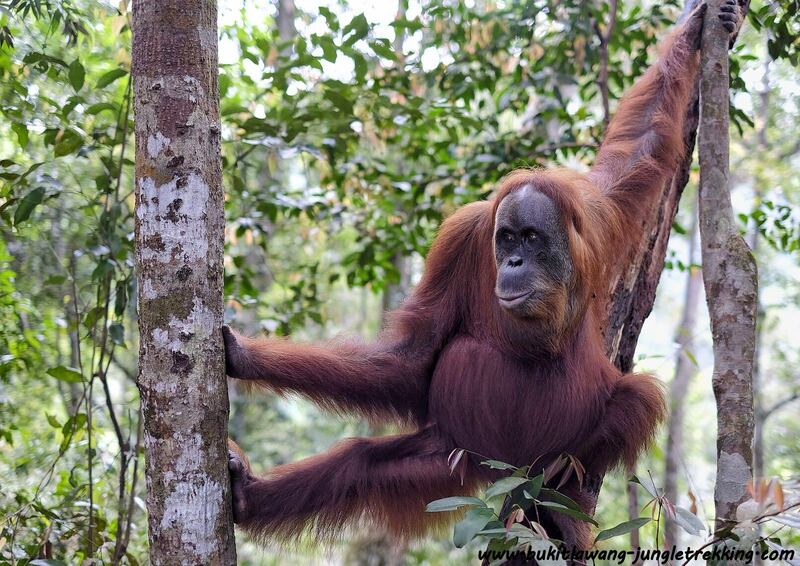 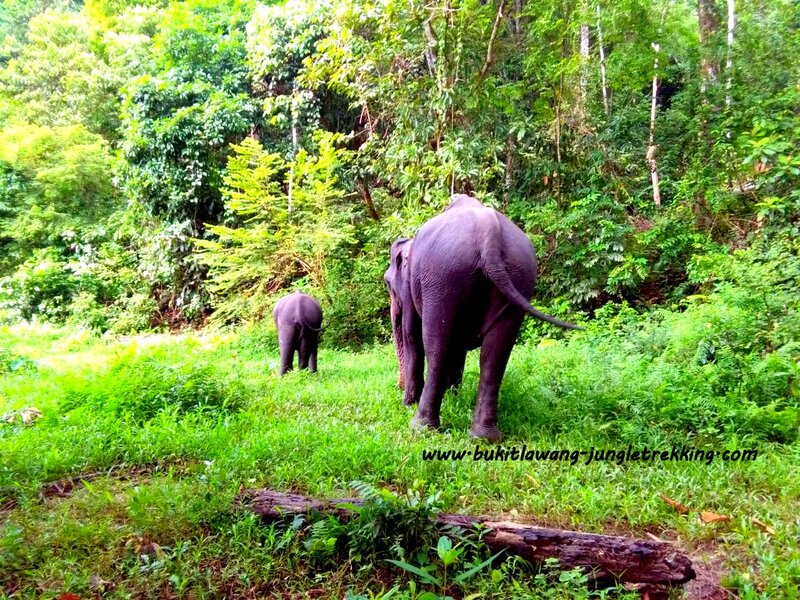 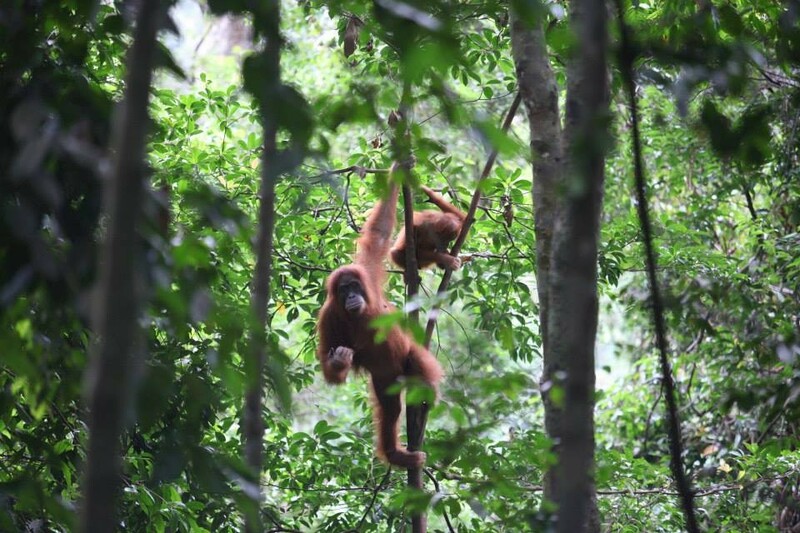 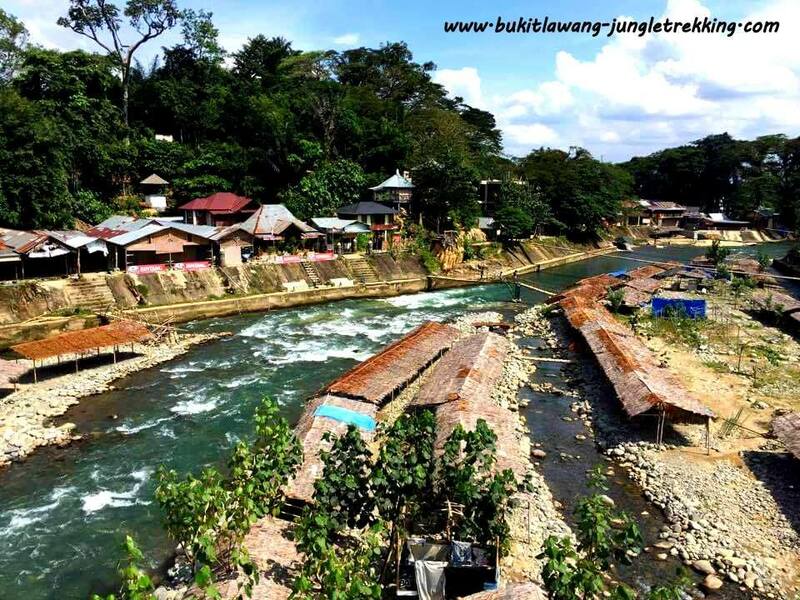 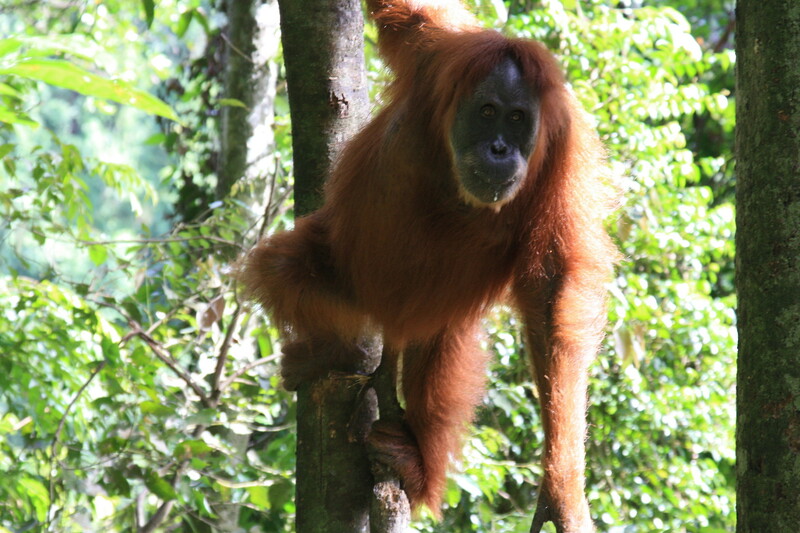 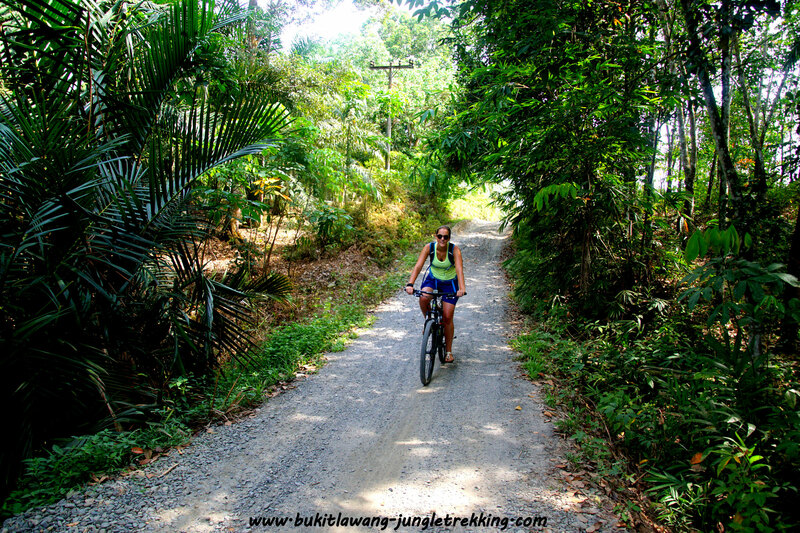 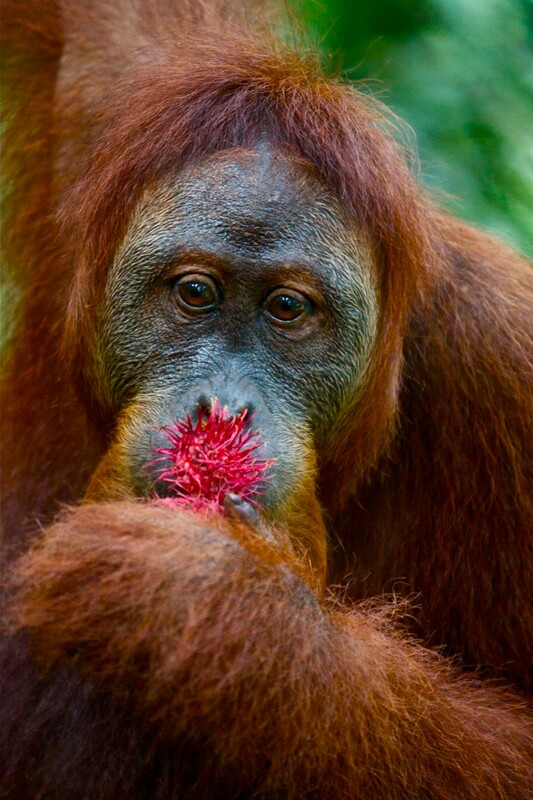 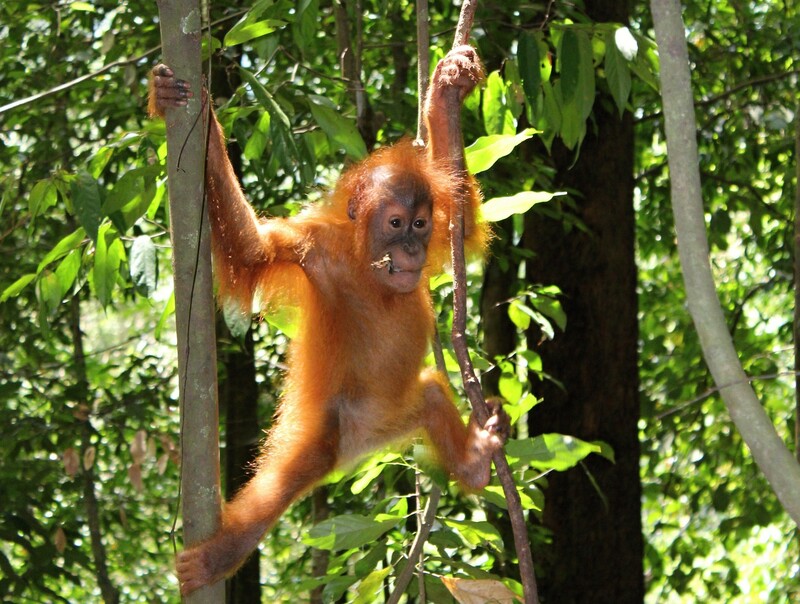 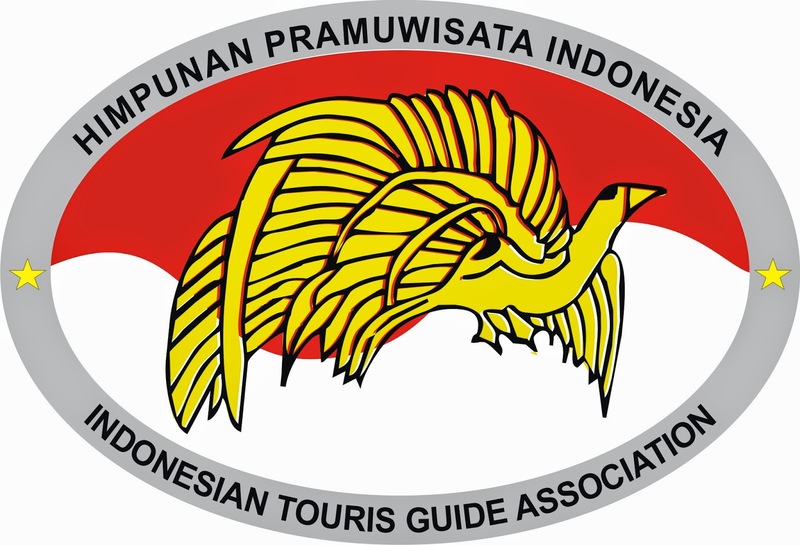 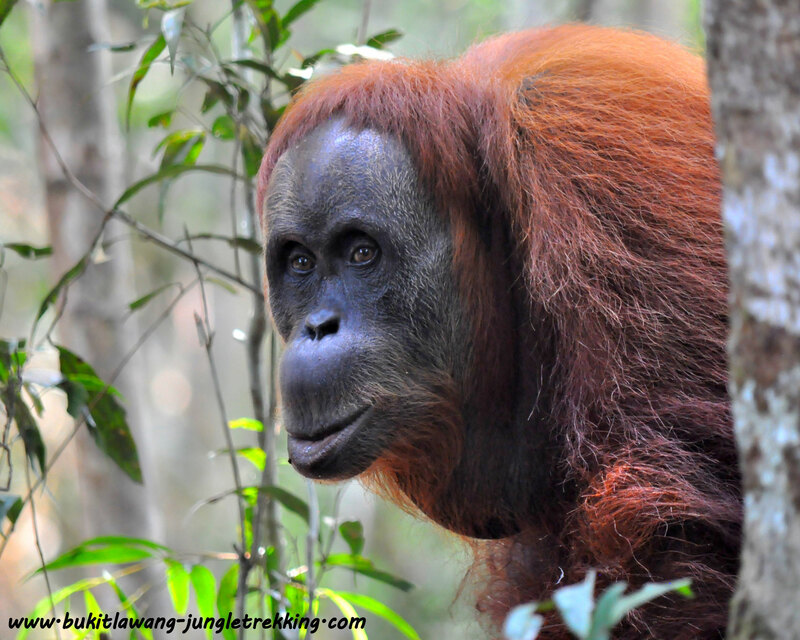 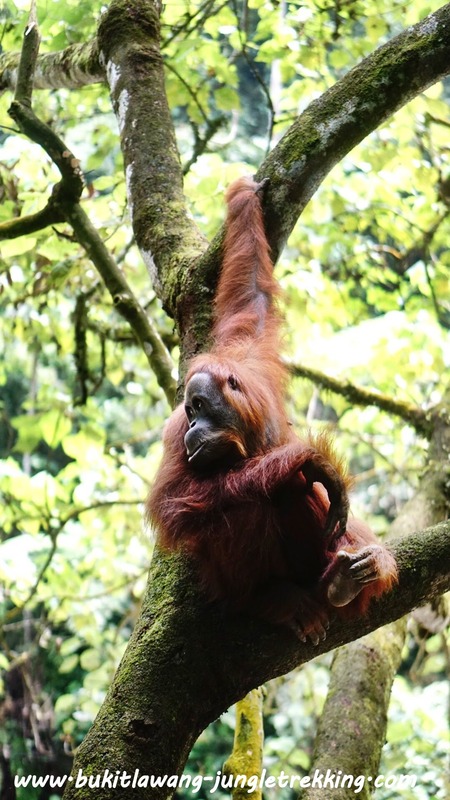 TOUR 5 - sensitise your jungle senses - Jungle Trekking Tours in Bukit Lawang,Sumatra! 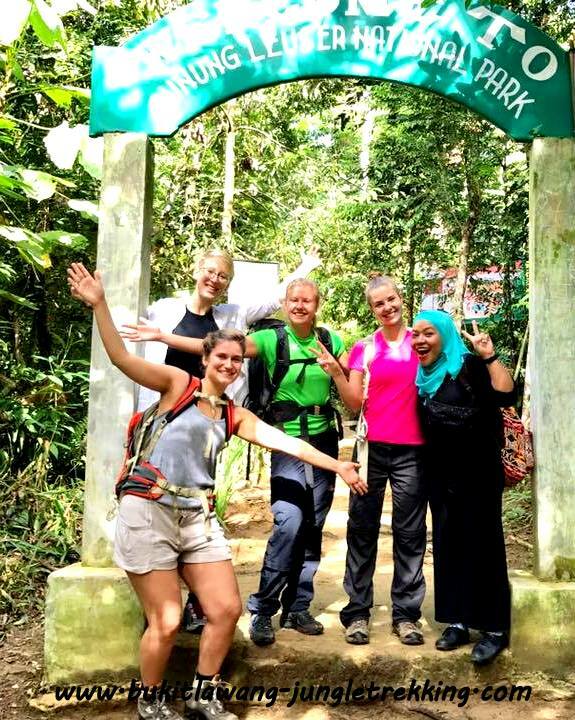 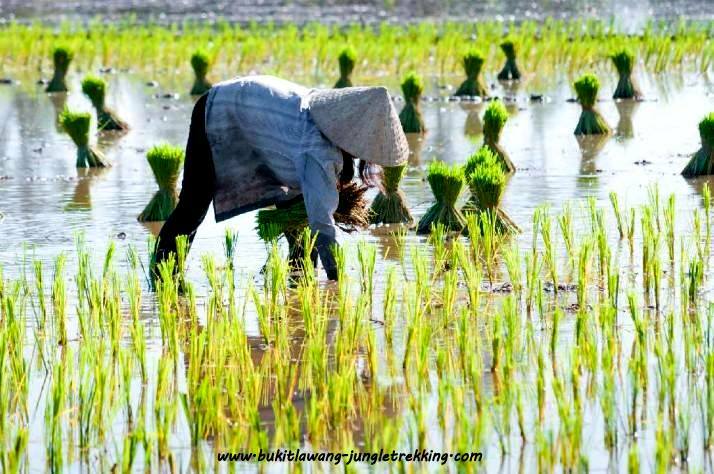 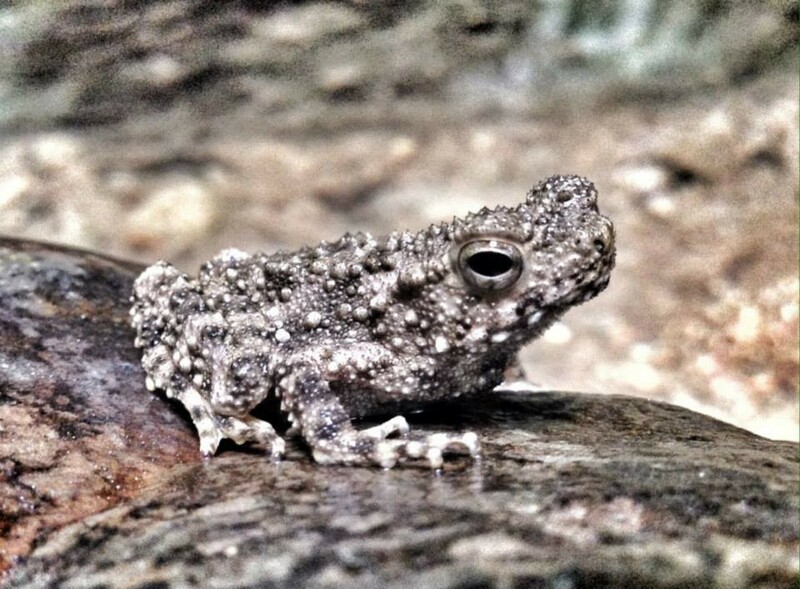 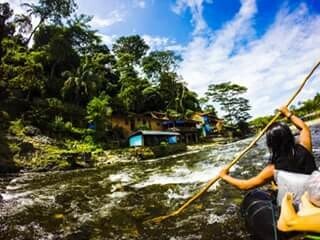 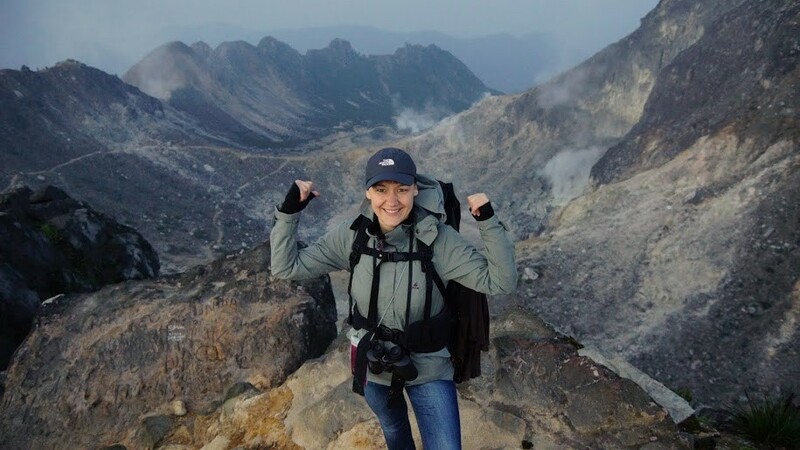 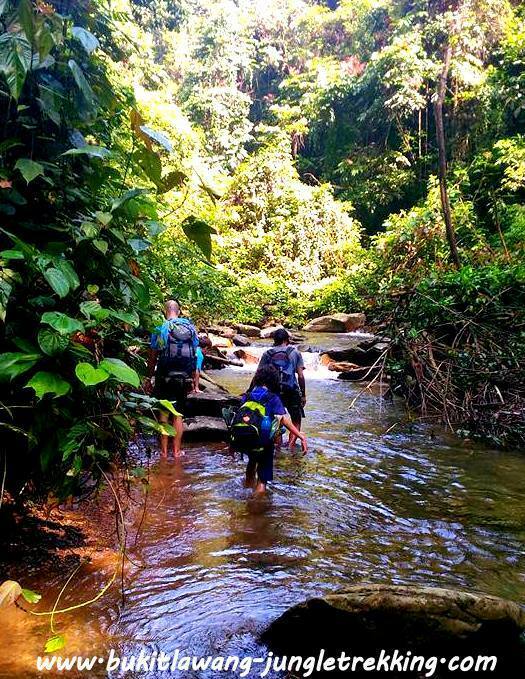 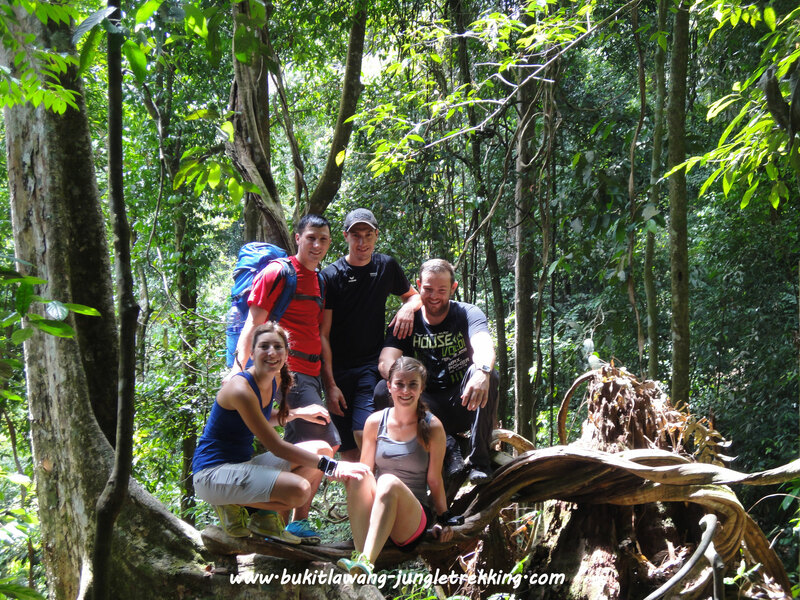 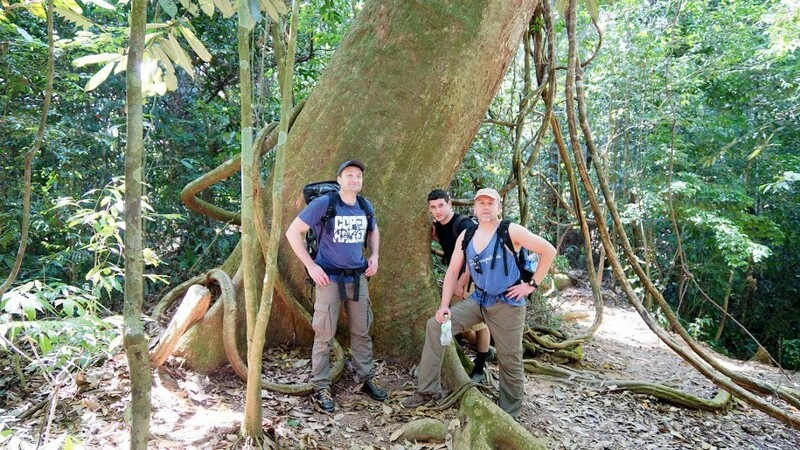 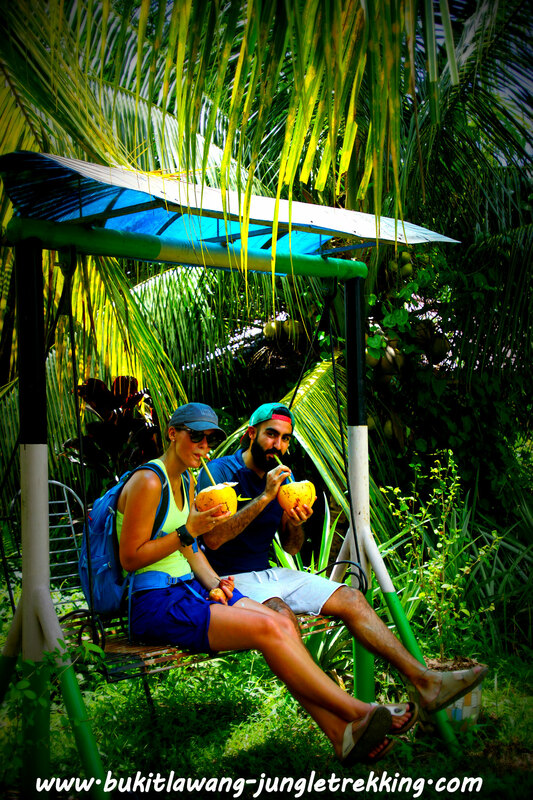 We recommend this 5 days and 4 nights jungle trekking tour for real trekking fans.You need to be fit and healthy enough to do jungle trekking for several hours each day and to handle the tropical climate. 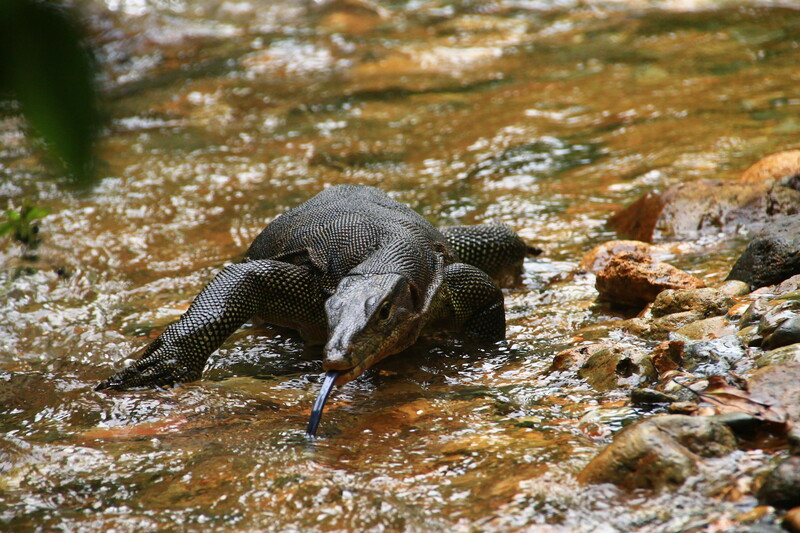 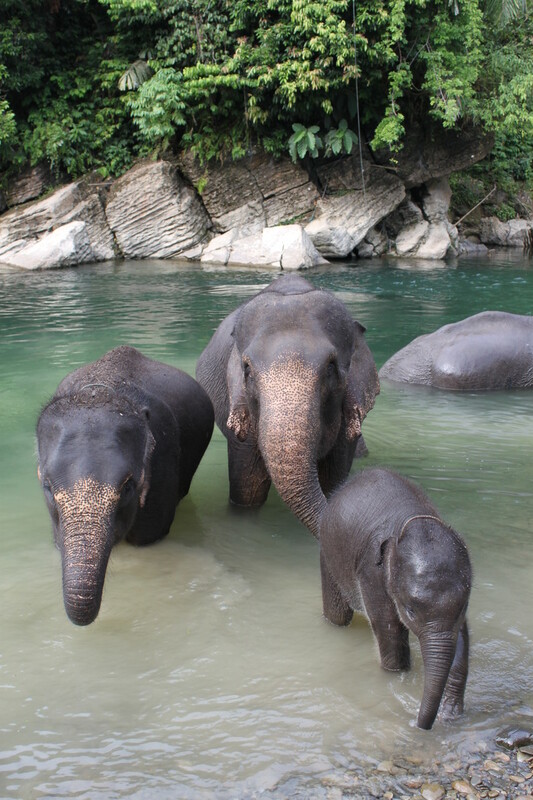 Your chances to see animals in the wild (like gibbons,Thomas leaf monkeys,longtail and pigtail macaques,flying squirrels,Sumatran peacocks,hornbills and also wild orangutans) are bigger and if you are really lucky,you can see the sumatran elephant or tiger during this jungle trekking tour. 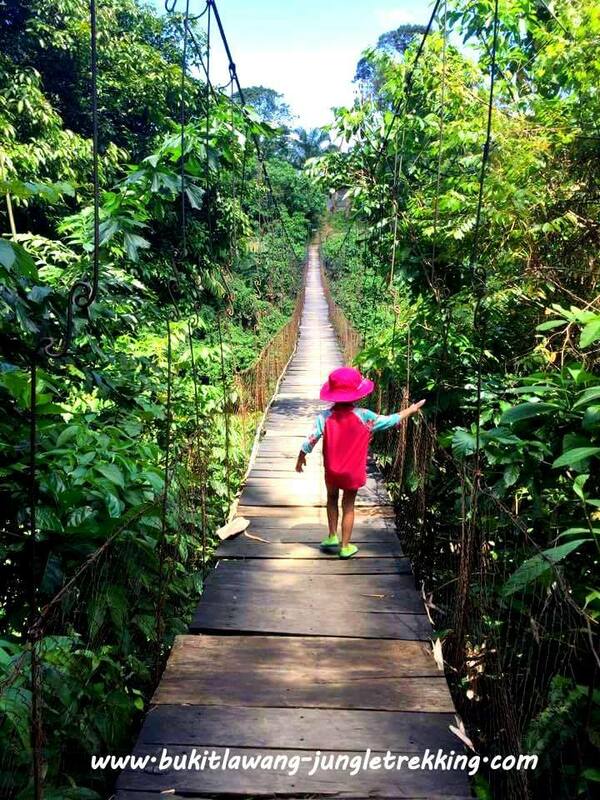 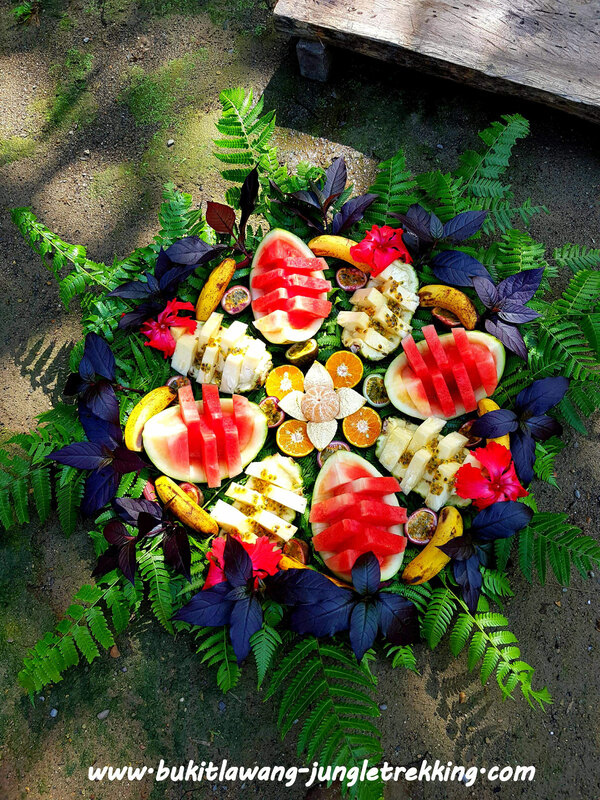 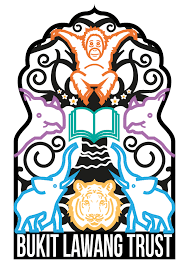 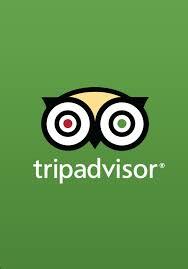 Get your senses sensitised for the jungle...see more animals,touch more plants,smell more flowers,eat more jungle food and hear more birds and more of the magical jungle sound! 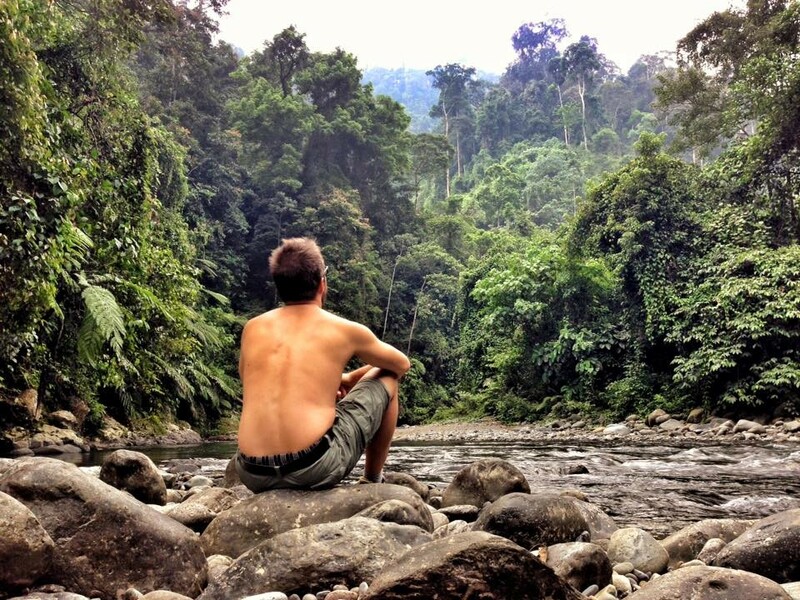 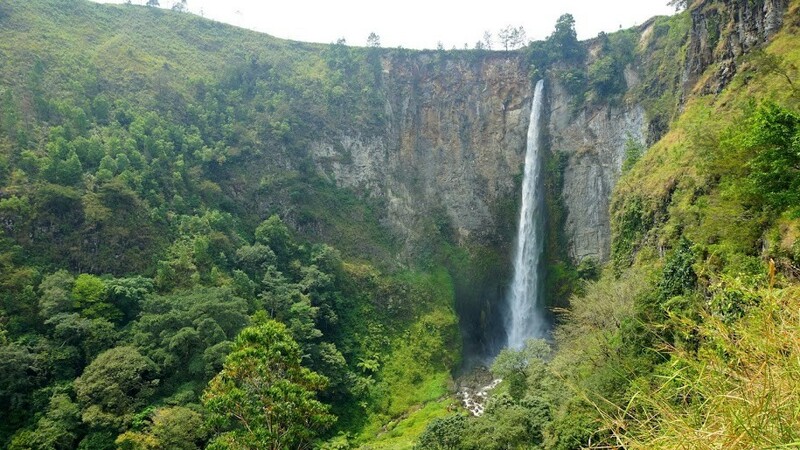 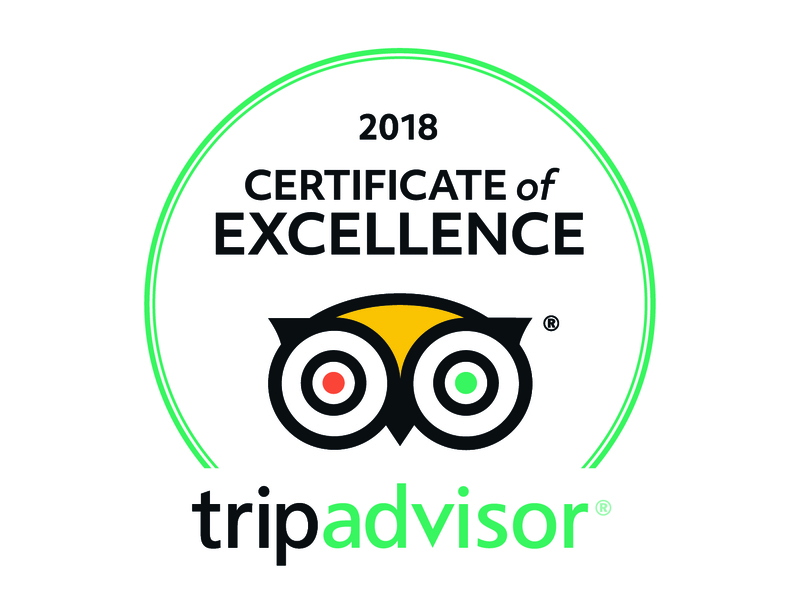 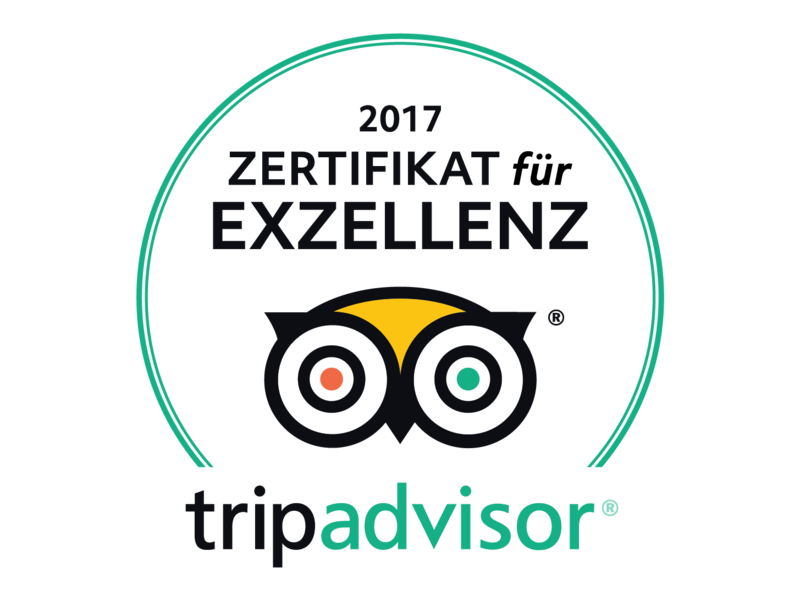 You will pass more amazing viewpoints like wonderfull hidden waterfalls,you will trek through the jungle surrounded by unique and spectacular views and you will discover more and more every day! 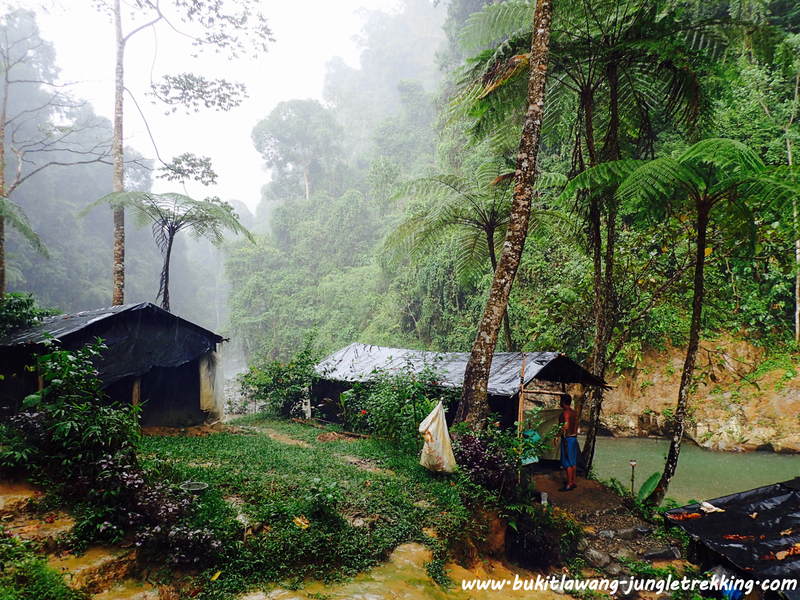 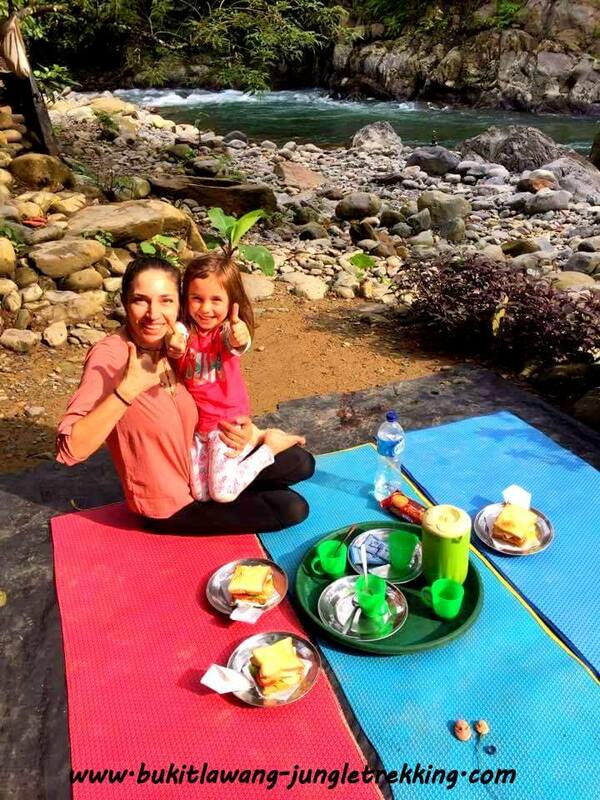 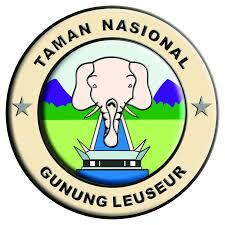 You will camp at different peacefull places in the Gunung-Leuser National Park...enjoy the evening times at your jungle camp with playing cards or sitting and singing around the campfire with your guides,and next morning you will be wake up by the magical sound of the jungle. 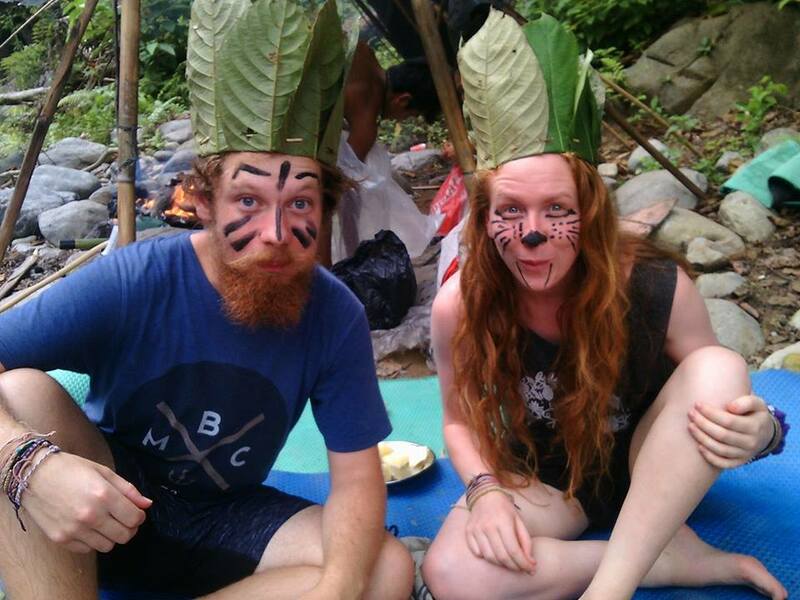 For breakfast,lunch and dinner the guides will prepare delicious local food for you,in the evening over an open campfire....real jungle style! 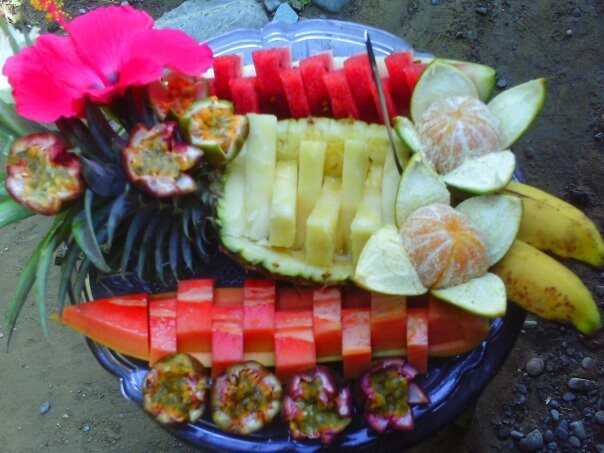 You will also get fresh fruits and tea/coffee in the meantime. 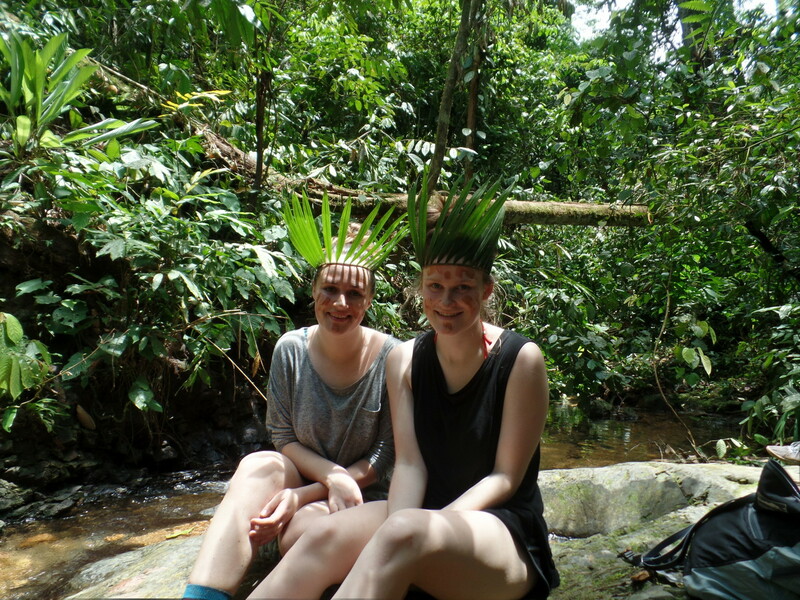 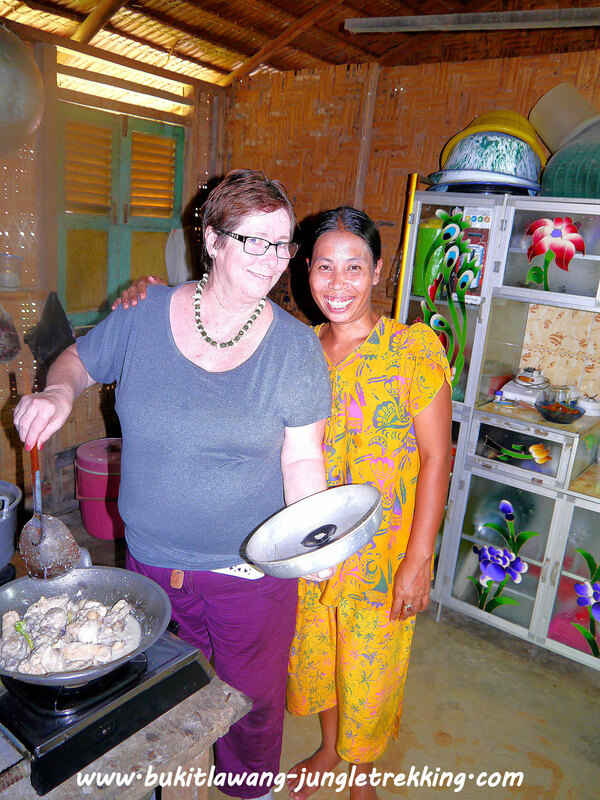 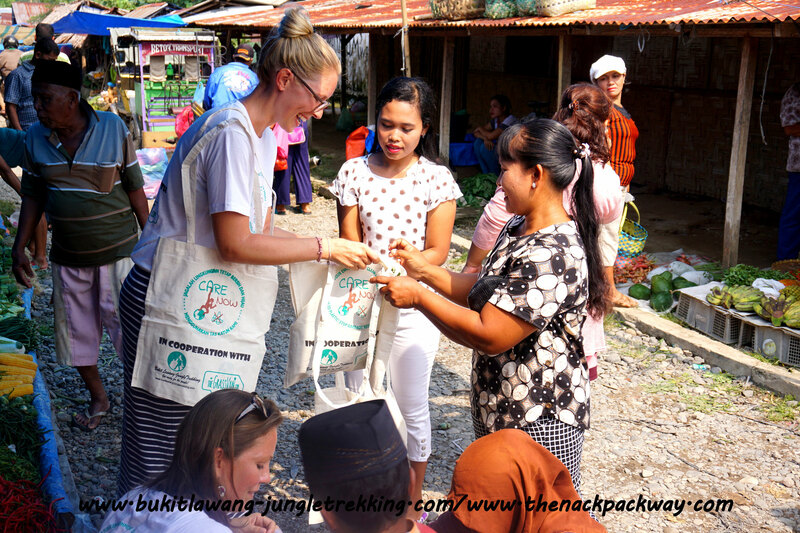 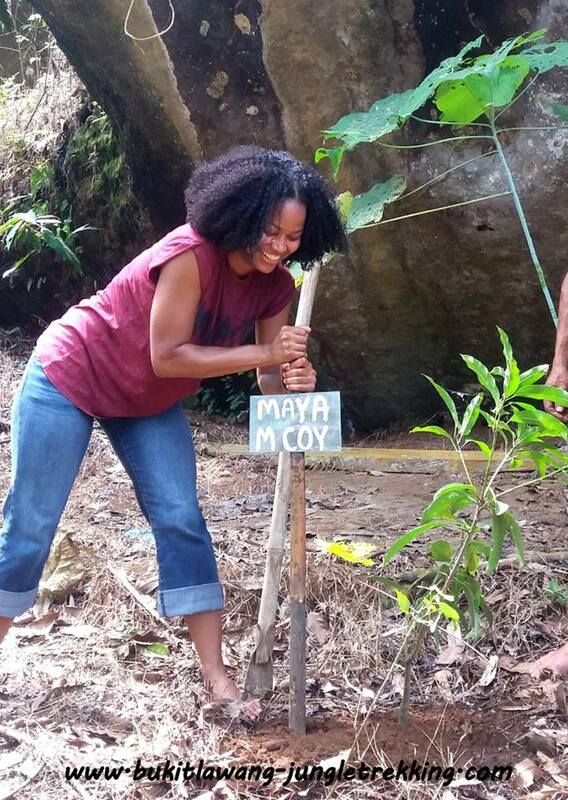 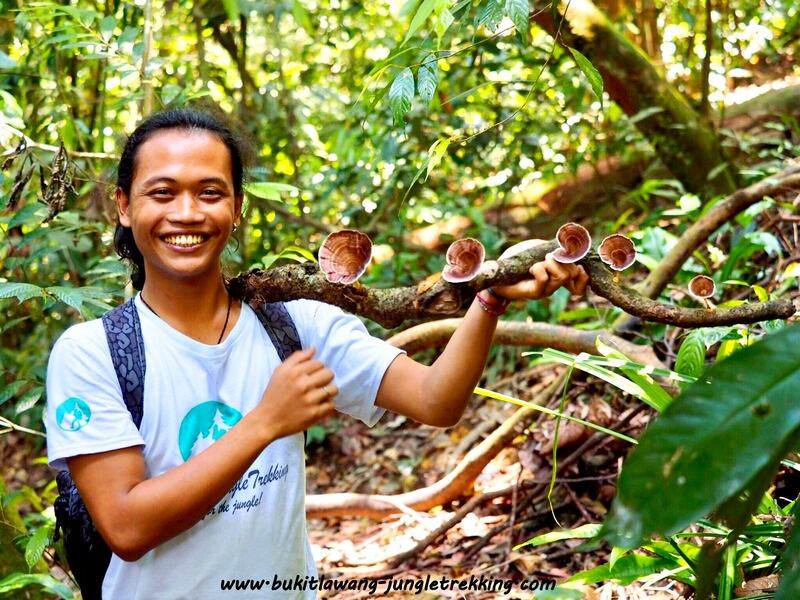 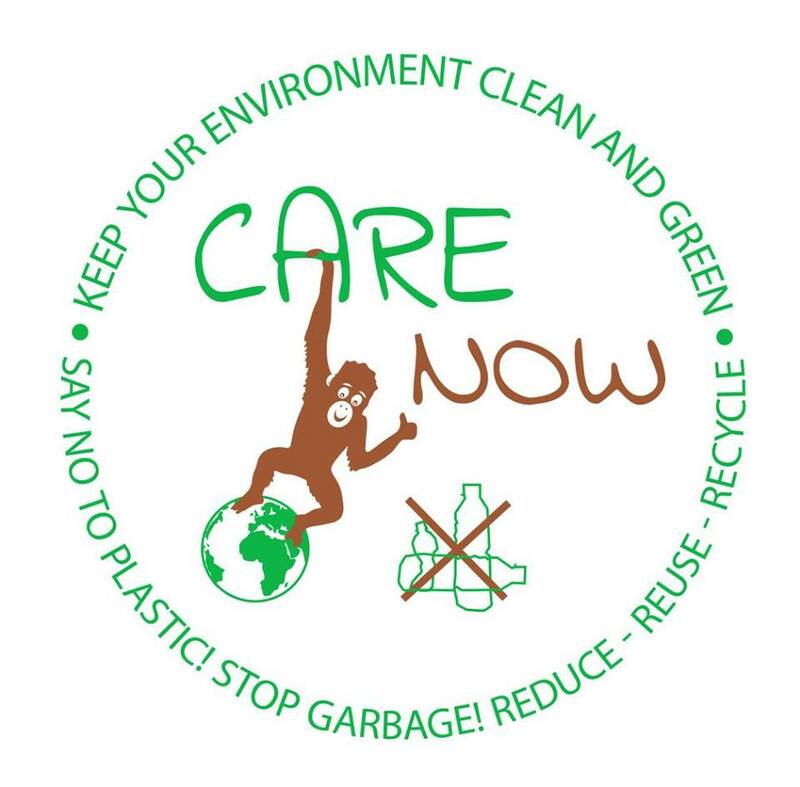 After this jungle trekking tour you will have the knowledge about several jungle survival skills for example like making fire and cooking jungle meals.